This is a rather special review, as it has been penned by our new freelance journalist Elodie who took her Daddy, Big Brother (just incase he is reading this...) and Sister to see Baddies the Musical at the Unicorn Theatre. Their Mum would have loved to join them, but she had to appear as a Christmas Elf on an all important girls night out! I went on Friday night to see Baddies the musical with my dad and brother who is 5 years old and sister who is 8 years old. I am 11. It was a fun family show and even Noah who has ants in his pants sat through the whole thing and loved it! Things we loved... The costumes were detailed and done in a modern clever way. Karis Jack and Ngo Ngofa as the Ugly Sisters, Fay and May. The story was brilliant and explained how all the characters felt especially the villains Captain Hook, The Big Bad Wolf and the Ugly step sisters (they were our favourites). Granny, what big eyes you have..
Also there is a brilliant twist at the end, that you will never guess! Christian Roe as Peter Pan. "The wolf character really scared daddy when he got upset!". "Rumpelstiltskin was amazing at maths". If you are interested in how a Panto like this gets made, take a look at this video - it's really interesting. Goodnight Mister Tom (Run 11th Dec-20th Feb, then national tour) Read our review here. 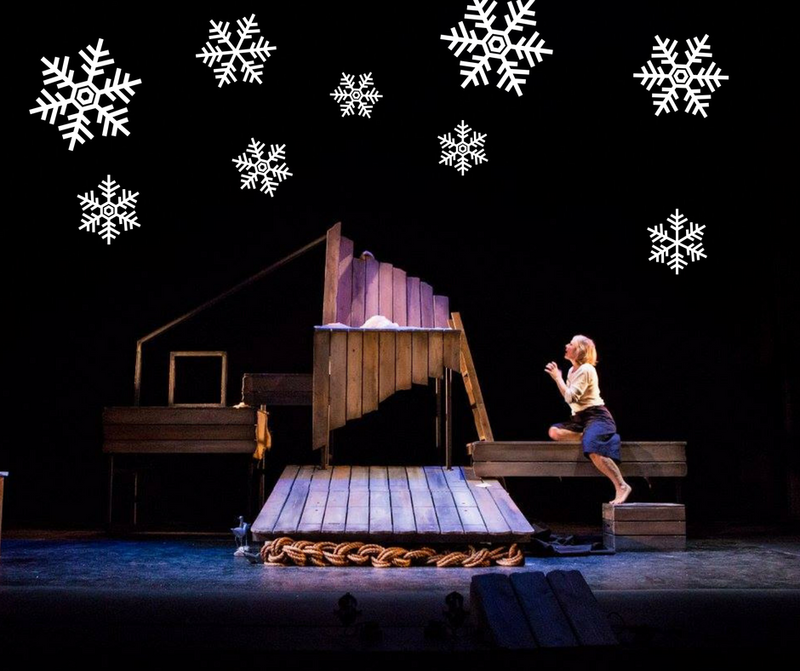 The Olivier award-winning Chichester Festival Theatre production of Goodnight Mister Tom returns to London this Christmas. Book : leave a comment below with your email, and number of adult and child tickets you require please. (limited spaces). If there is still availability, you will be contacted by email to arrange payment.